Passionate bar-hoppers are familiar with this common dilemma; barstools either look good or they are comfortable – but rarely both at the same time. Triton has finally succeeded in reconciling this supposed contradiction. Thanks to its anatomically formed seat, it is unusually comfortable. Women will especially love this barstool, because designer Clemens Weisshaar has even included a hook under the seat to hang up a handbag. 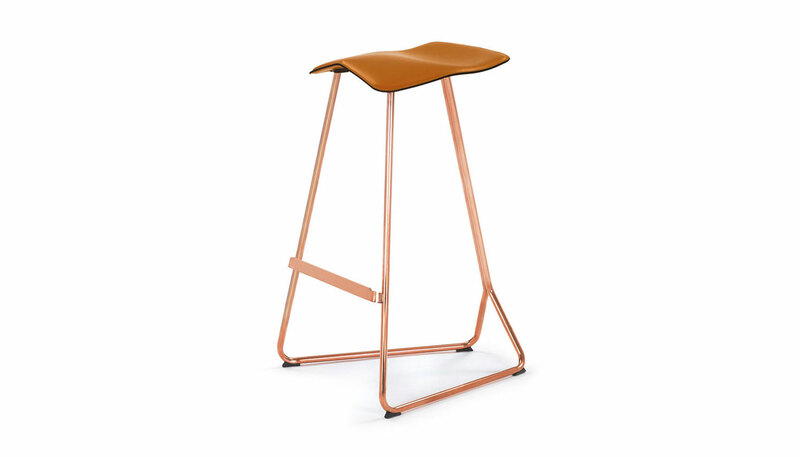 The Triton barstool frame comes in a black or cream powder coated steel, chrome-plated steel or copper-plated steel. The seat shell is available in rigid polyurethane, color varnished in jet black or cream. The seat shell is also available in black, white, dark gray or caramel hard leather. Price includes shipping to the USA. Manufactured by ClassiCon.